We are very excited to announce that we will be on Hello GoodBye Show http://hellogoodbyeshow.com on Resonance FM 104.4 on Saturday 25th February. It will be our first radio appearance since a release of our first album "en". 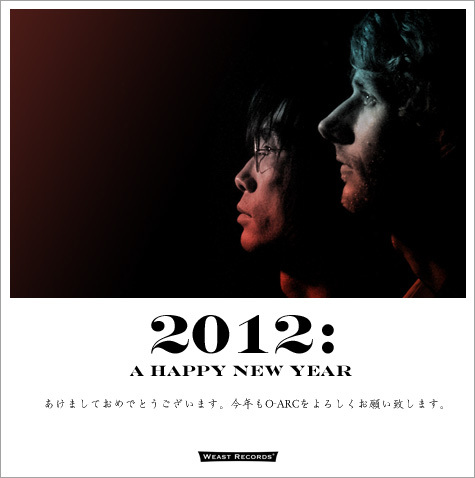 We will play a couple of songs from the album. The 1.5 hour show starts at 12 noon UK time (9pm Japan time) and we will be on around 1pm to do live sessions and have a chat with the presenter. You can listen to anywhere in the world. Just go to their site http://resonancefm.com or click a widget below! 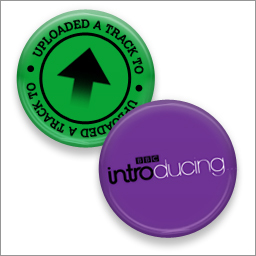 We have uploaded tracks form "en" album to the BBC introducing web site for consideration. Fingers crossed! 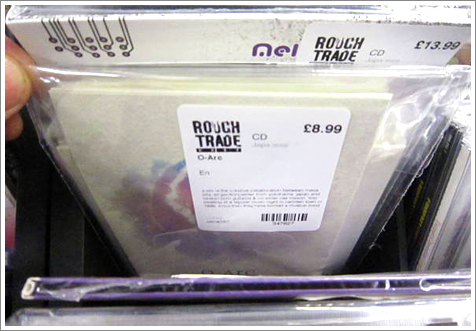 Our first album "en" is now available on CD at Rough Trade Shops. 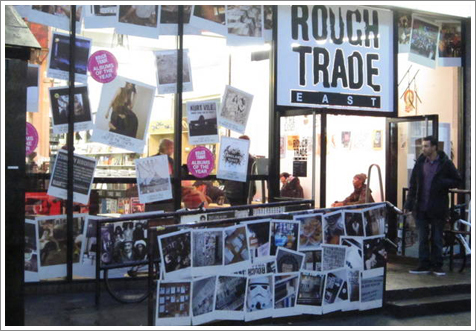 It's a great record shop where you can discover up and coming artists. If you are a bit tired of browsing or test listening cds & vinyl have a break at their cafe section! They serve great coffee using beans from the Monmouth coffee company. We are happy to annouce that our first gig this year is coming up very soon. 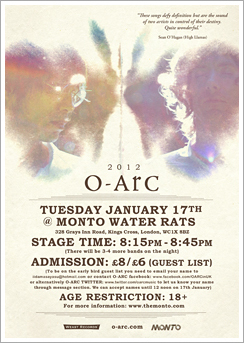 It will be on Tuesday 17th January at Monto Water Rats. It's been around for 50 years to promote up and coming musicians. (It was called The Pinder of Wakefield until 1992). Bob Dylan played his first UK gig there in December 1962. We hope you can come down. Looking forward to seeing you!! Our first album " en " is also available at the gig. iidamasayasu@hotmail.com or contact O-ARC FACEBOOK: www.facebook.com/OARCinUK or alternatively O-ARC TWITTER: www.twitter.com/oarcmusic to let us know your name through MESSAGE section.